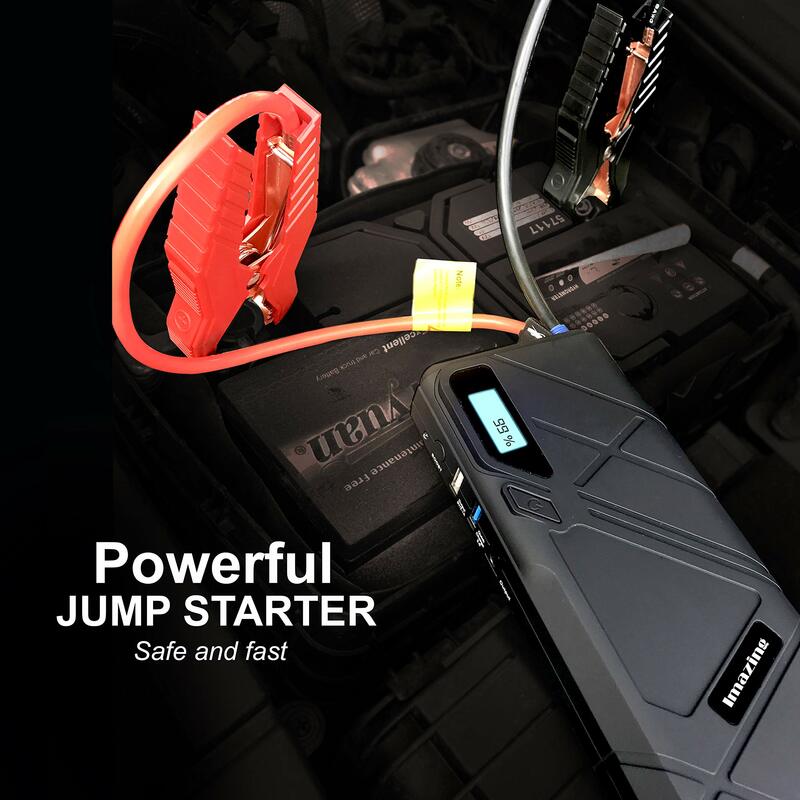 Advanced Safety Technology: The intelligent Mainboard work with jumper clamp features more than 5 advanced safety technology including reverse polarity protection, over-current protection, overload protection, over-voltage protection, over-charge protection, making it totally safe for anyone to use. 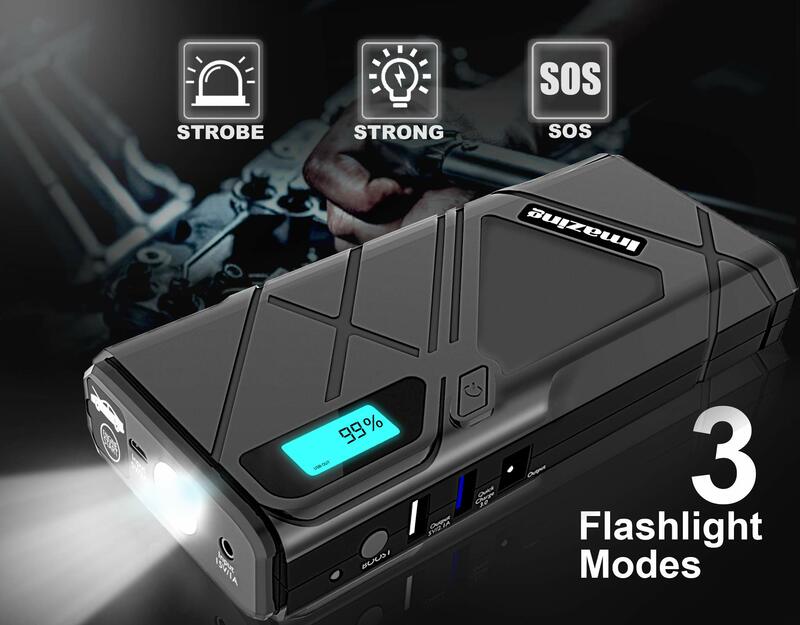 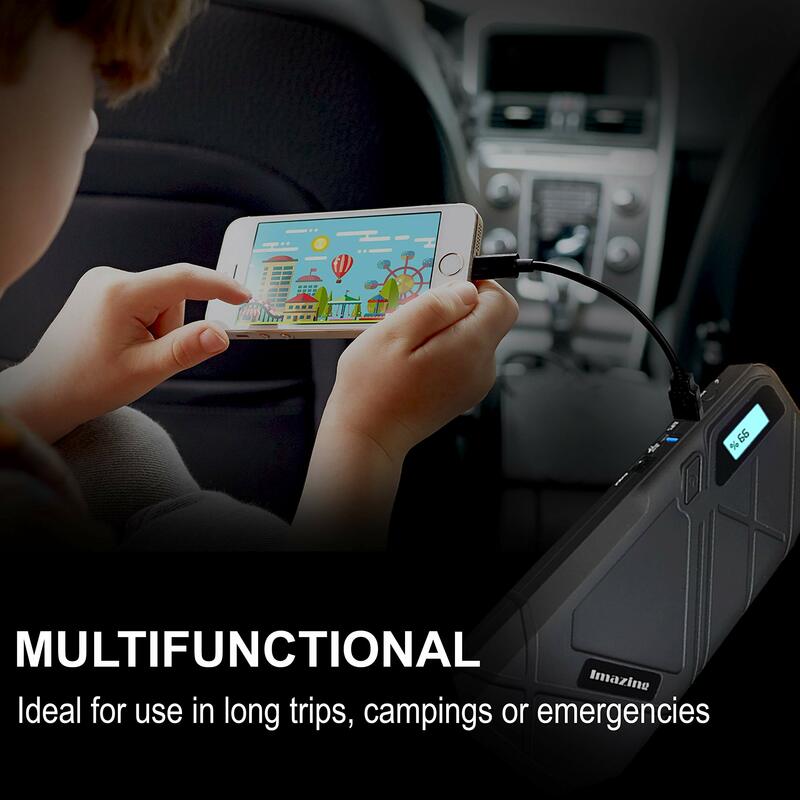 6 IN 1 MULTI-FUNCTION: Emergency Jump Starter + Portable Charger + LED Flashlight + S.O.S Lighting Signal for help + Dual USB Quick Charge + For the vehicle electrical supply (appliance via Cigarette light adapter). 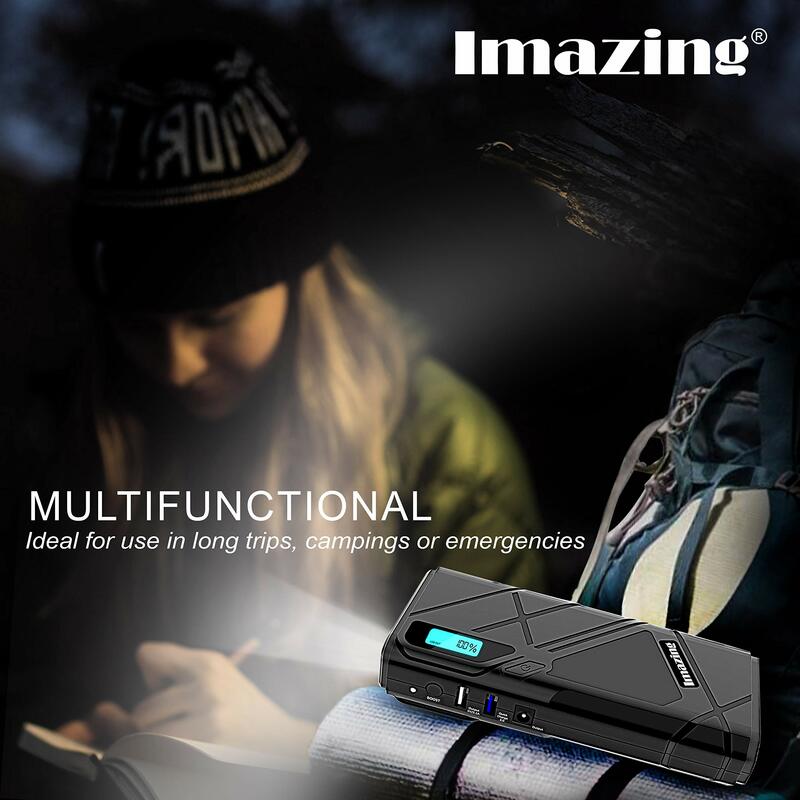 It can help you in any case especially for long distance driving, adventure, outdoor, daily, emergency, travel, etc. 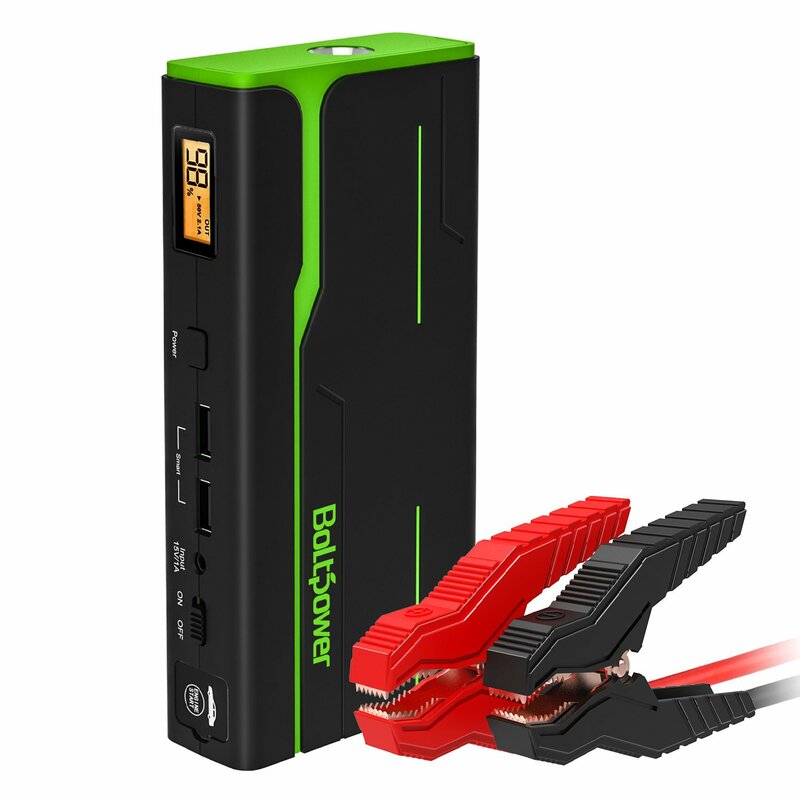 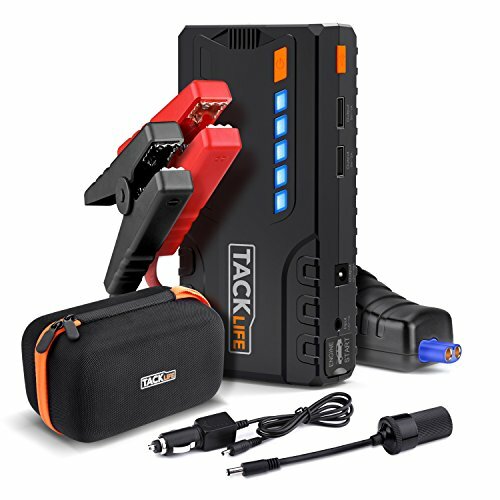 A Powerful Power Station: This is not just a portable jump starter but a jump starter power pack! 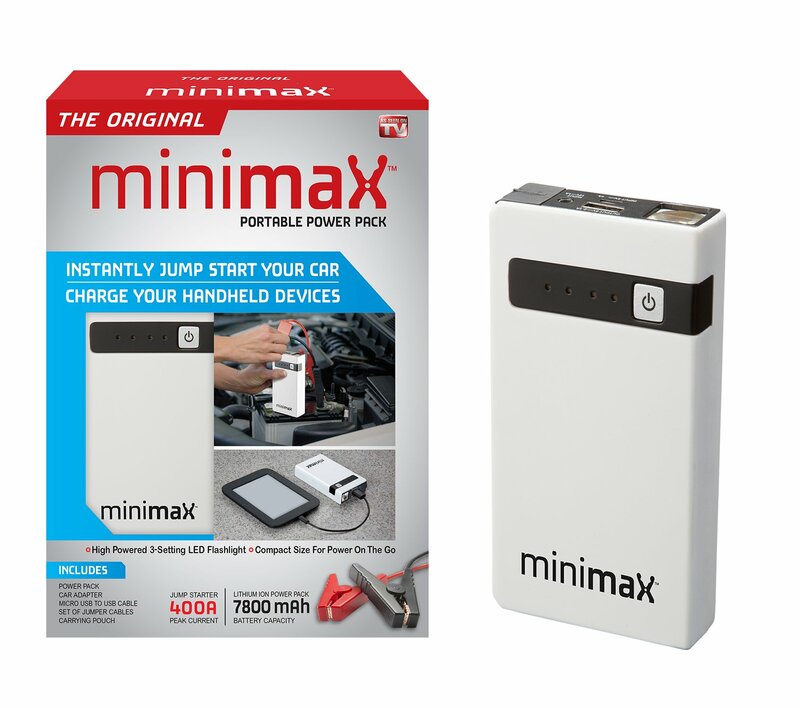 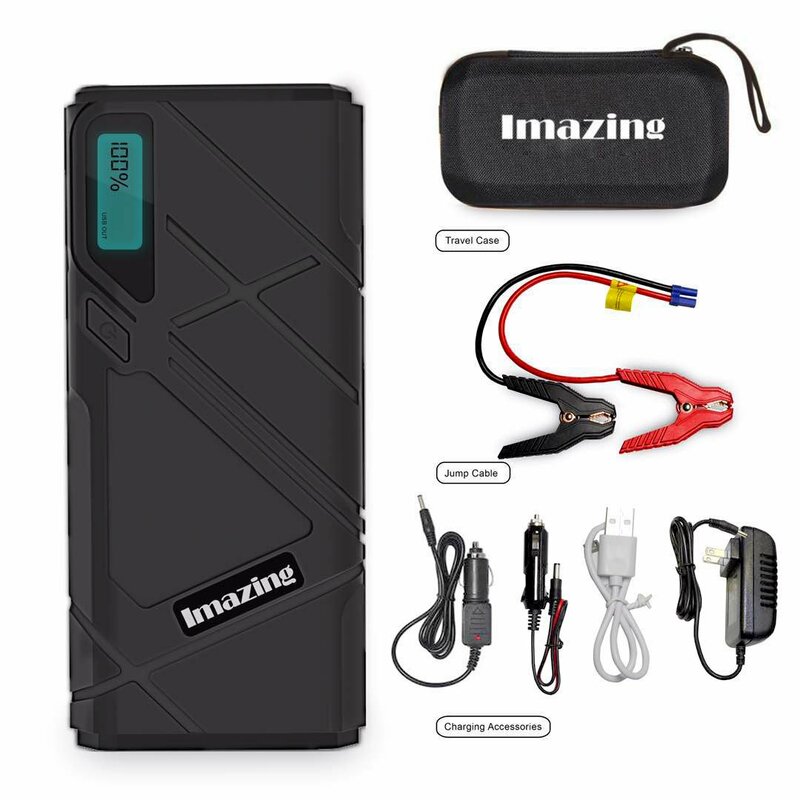 With 12000mah of battery capacity, it can provide sufficient power to charge your smartphones, tablets. 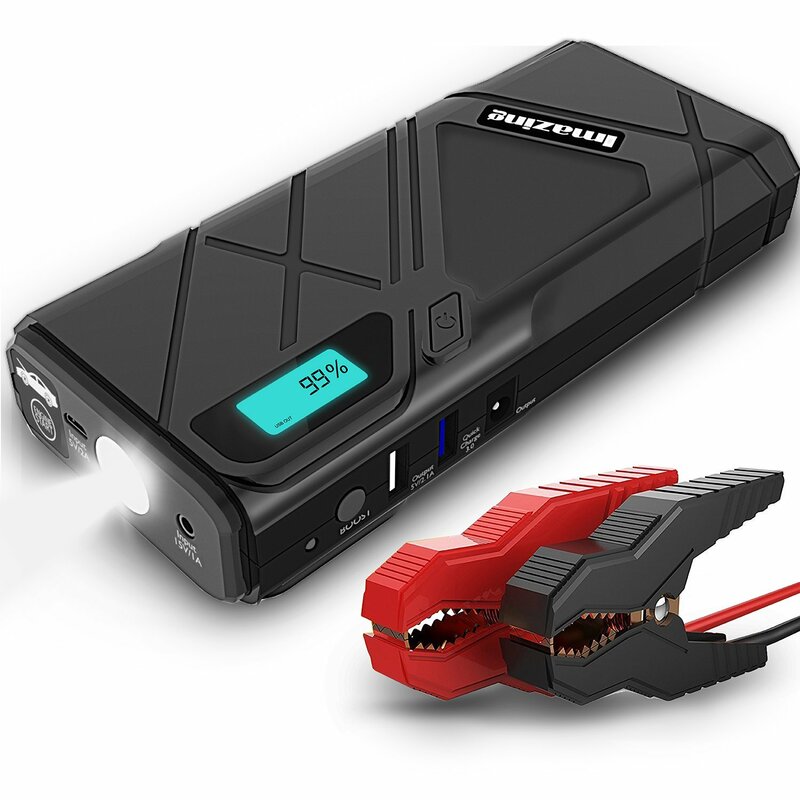 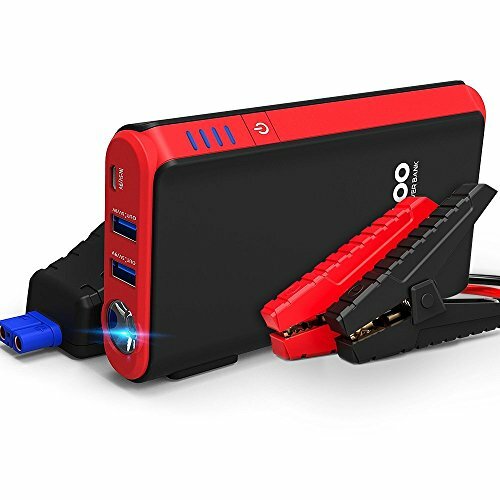 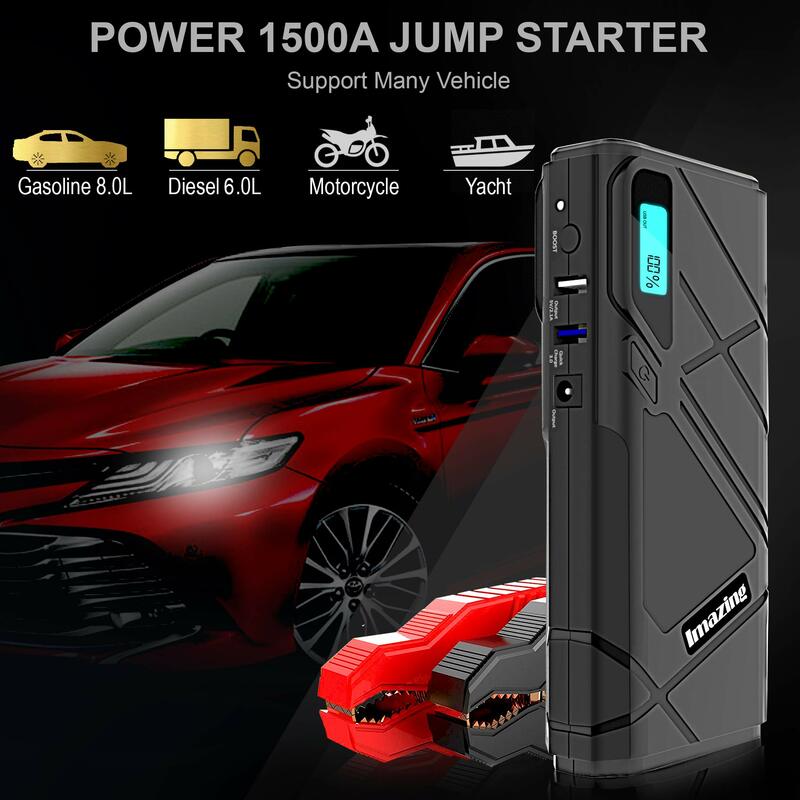 What You Get: Imazing Jump Starter, intelligent jump cable clamps, In Car charger, 12V AC wall charger, Output Car charge, USB cable, User Manual, 6 months warranty service and a carry case.